SparkFun visits various factories and the electronics market in Shenzhen, China. 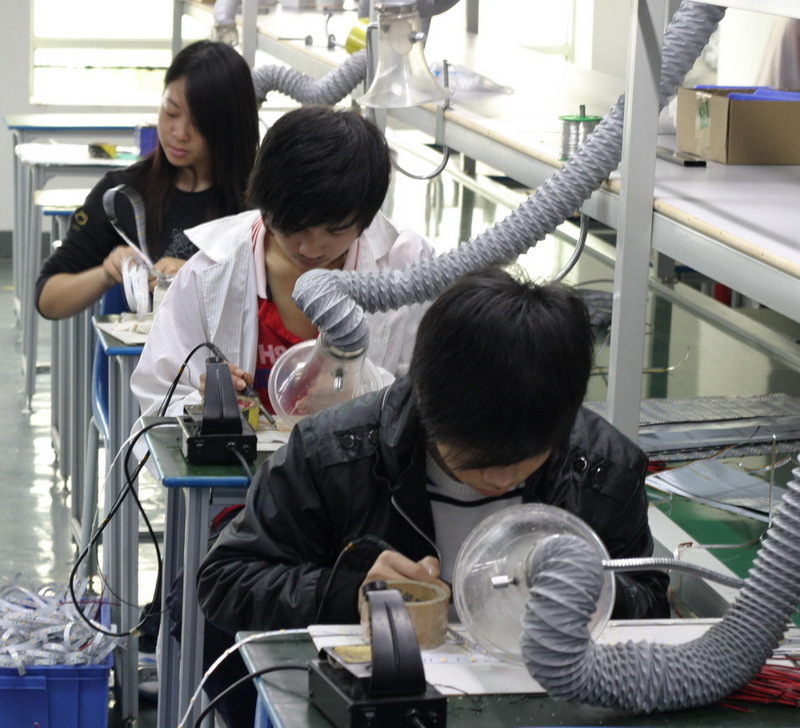 After checking out a handful of factories on the geek tour in 2009, it was time for me to return to China to visit some of the factories that make goods for SparkFun. I've got far too many pictures and videos for one post so I'm going to break them up into three posts. Be sure to checkout Part 2 and Part 3 as well! We've done an astronomical amount of business over email. 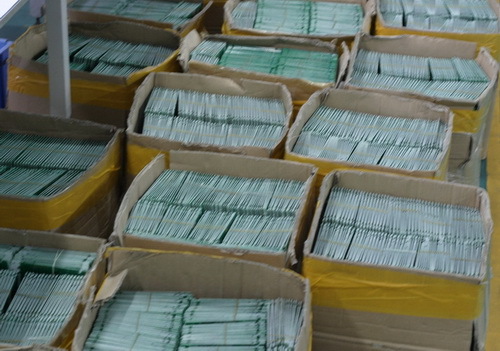 We email a supplier, request 500pcs of something, wire the funds, and the goods show up 6 weeks later. Multiply by a couple years and we've sent thousands of dollars all over the world. We never talk on the phone, and I've never met the majority of folks who supply us with products like cables, LEDs, tools, etc. The purpose of the trip was to meet face to face with a small fraction of vendors located in China near Shenzhen. Ok, that's a lie - half the trip was about meeting vendors, the other half was about geeking out and seeing how neat stuff is made. No matter how you slice it, it's still extremely painful to get to Shenzhen from Denver, Colorado. 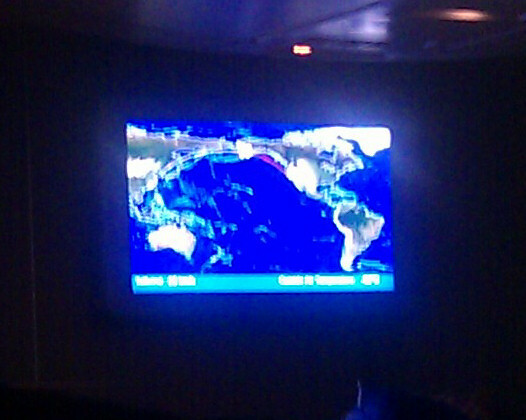 Yes the picture is fuzzy but that's how it feels 7 hours into a 14 hour leg from San Francisco to Hong Kong. A handful of wonderful accidents took place that allowed Bunnie, myself and my friend Louis to end up in Shenzhen at the same time. I asked my friend Louis to come with me to China (who happens to be fluent in Mandarin) and Bunnie happened to be in Shenzhen working on a new production run of Chumbys. The three of us immediately descended on the electronics market where you can spend days roaming through the various vendors and stalls. This video will give you a rough idea of what it's like but the full scale of the market cannot be described. Welcome to nerd heaven. Once you think you've seen everything, you realize that this is but one floor of one building. There are nearly a dozen buildings of this size - perhaps more! Testing pink LEDs! We've found them! Now we're trying to secure a good source. Pink LEDs were just one of many 'cool' products not normally seen. You discover all sorts of good stuff roaming around the market. I always find tool vendors particularly interesting. The small container on the right is the same solder paste that we already carry. The really funny thing is the larger jar. You may or may not know this, but our entire internal ERP system is called 'Sparkle'. Looks like we could be making solder paste as well. 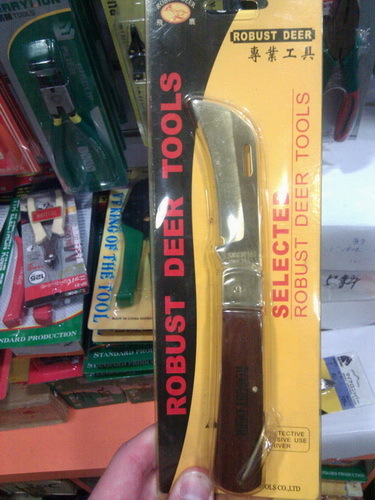 In the category of awesome names, I submit to you 'Robust Deer' line of tools. If I'm going to buy a knife, you'd better believe I'm buying the Robust Deer brand. If you've ever used the SparkFun soldering iron, you'll recognize the '936' model. This is one of the most common models at the market. So common in fact, it became sort of a game to see how many different manufacturers of the same type iron we could find. We gave up after 7. Need a switch? What kind? There is every kind under the sun and dozens of vendors ready to sell you very similar products. 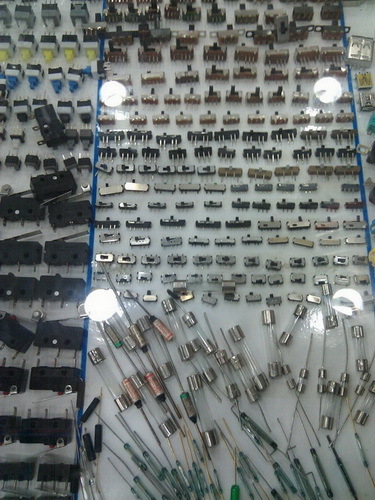 This may look like a simple picture of connectors, but to a geek it's the ultimate window shopping experience. You can go to your local market and shop various types of shoes and pants, but us geeks have to order everything online. We never get to actually shop for parts. 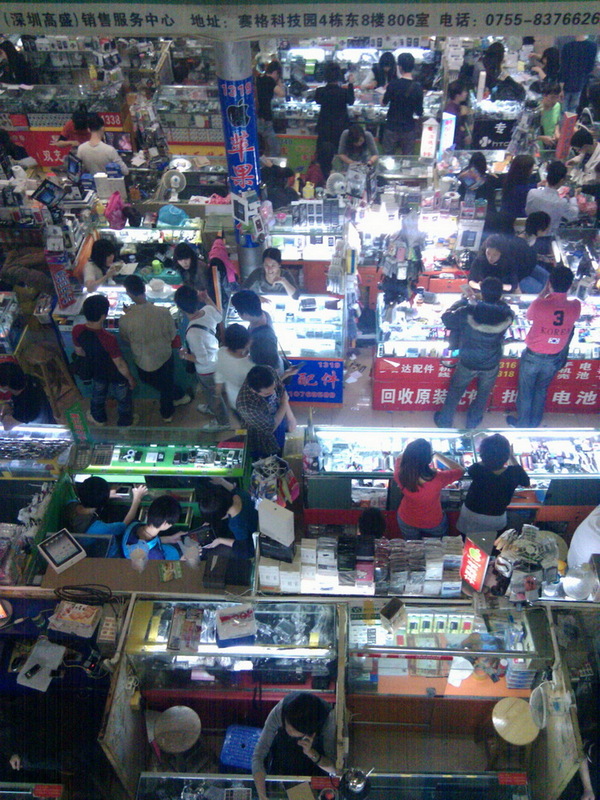 The electronics market in Shenzhen is the one 'mall' in the world where I don't want to leave. While there were shops and floors for all sorts of electronic goods, Bunnie had heard of a special market that dealt exclusively with bulk cell phones. That's right, you could buy a pile of cell phones. Heck yes we needed to see this! This market was truly amazing. It was one of most dense I've been to, shoulder to shoulder with very little standing room. Every device imaginable was available (checkout the pile of iPads) and people were literally negotiating a spot price minute by minute. The raw phones were sold for cash and then taken to other parts of the market for parts, resale, or recycling. There was so much activity! There were minute by minute shifts of any given phone. The amount and speed at which cash exchanged hands was numbing. Tellingly, the vendors surrounding the 'trading' floor sold every type of retail box for every type of phone manufacturer. Below the bulk market was the ground 'more retail' floor where things were only slightly less hectic. This main floor was where a regular person could purchase a regular phone. How much of the bulk stream was redirected downstairs for retail is hard to quantify, but I don't doubt the re-packaged re-sale market is enormous. By it in bulk upstairs or one at a time in a retail box downstairs. The building was packed! Bunnie had found yet another amazing corner of Shenzhen. On Monday, Louis and I set out to visit two manufacturers. 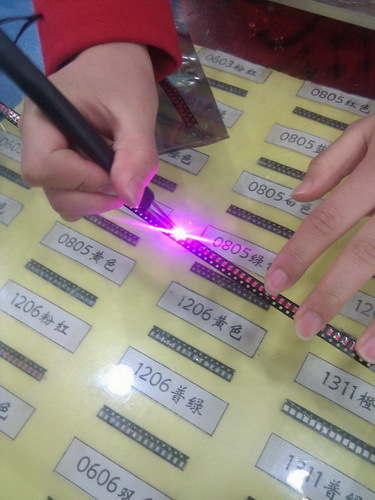 The first assembles our LED strips. Above, you can see workers assembling LED strips. What really struck me were the similarities between SparkFun and this company. We both have groups of techs with soldering irons and exhaust fans, assembling cool stuff. It's really not that much different from how we do things in Boulder. 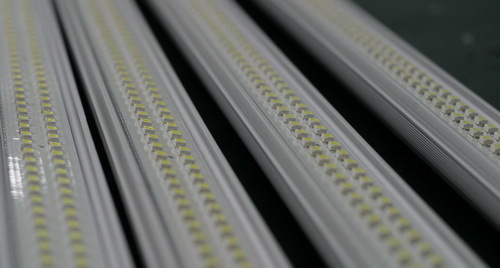 High-output LEDs to replace fluorescent tube lighting. They are getting surprisingly good at creating large LED arrays. 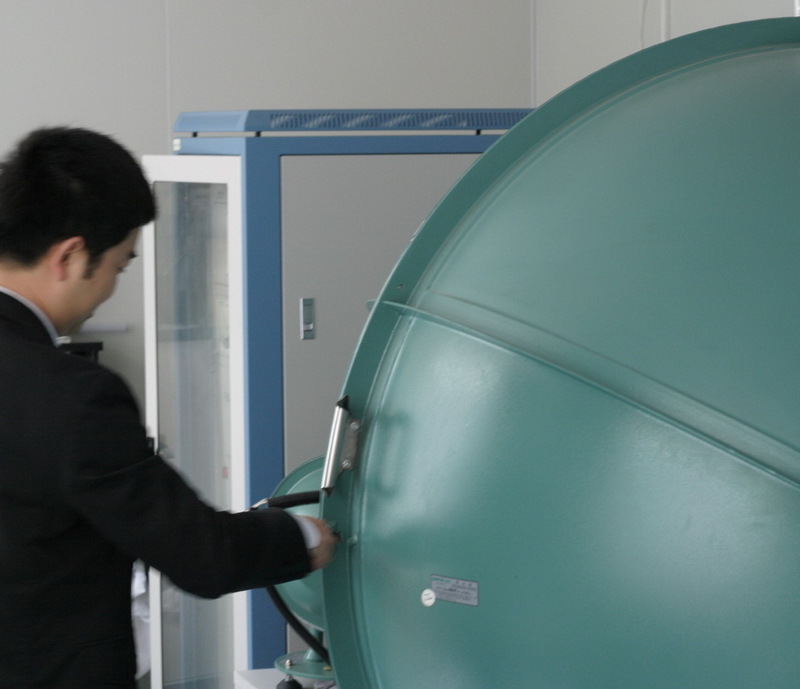 This is the large chamber that LEDs are tested in to make sure they are up to the required quality. Inside the LED testing chamber. 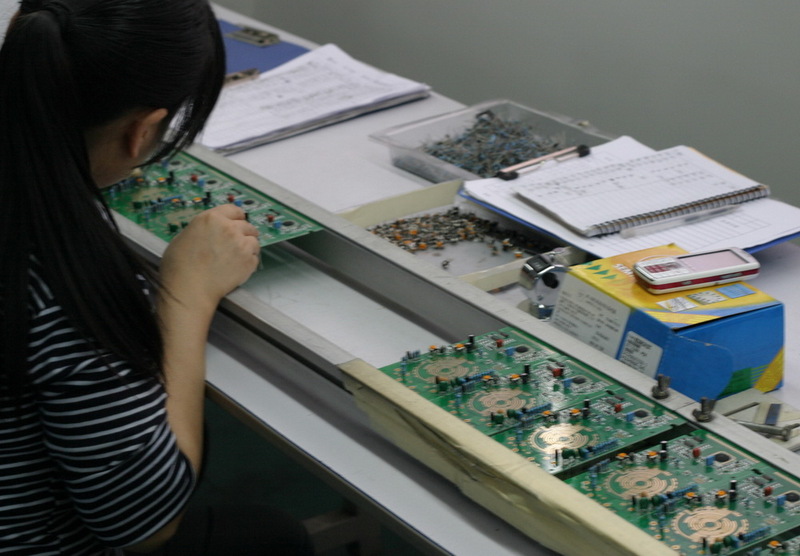 Next stop was a visit to the factory floor of where our Digital Multimeters are made. Notice how this factory floor looks very similar? These are part of the build of multimeters getting made that day. To give you an idea, they build 150,000pcs per month or 1.8M multimeters per year! 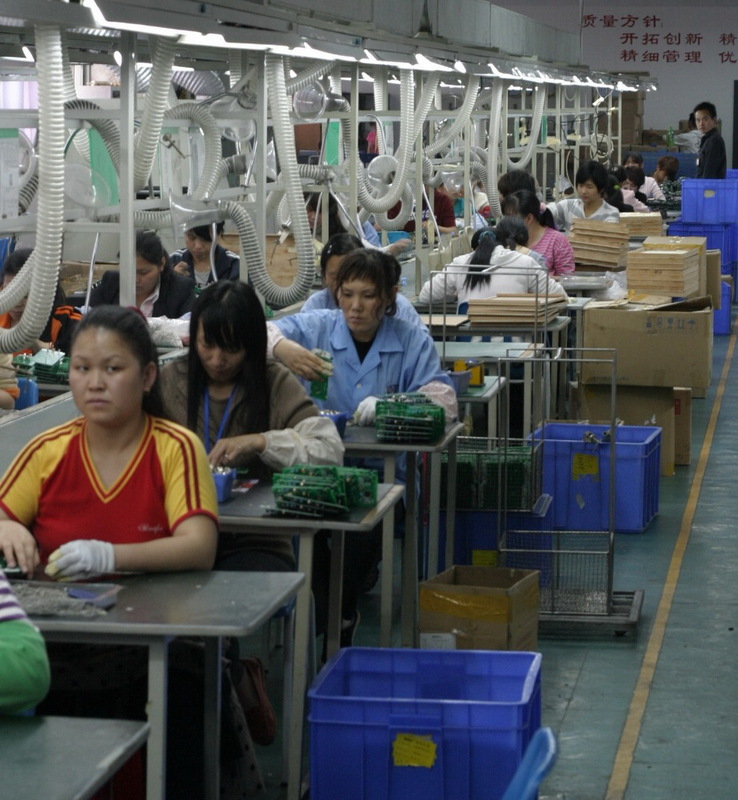 The average wage on the production floor is 1800 to 2200 RMB per month ($275 to $336 per month). Most workers work from 8:30AM to 5:30PM, Monday through Friday, with a lunch from 12 to 1PM. They are paid over time and many work on Saturdays for more pay. The floor was buzzing with activity! Here a worker counts the through-hole parts on a board. Directly after her there is a bath soldering step where all the components are soldered in one step. It's pretty amazing. What I'd also like to point out is how normal everyone looks. Everyone is dressed well, with hair styles and during any break people were always on their cell phones. 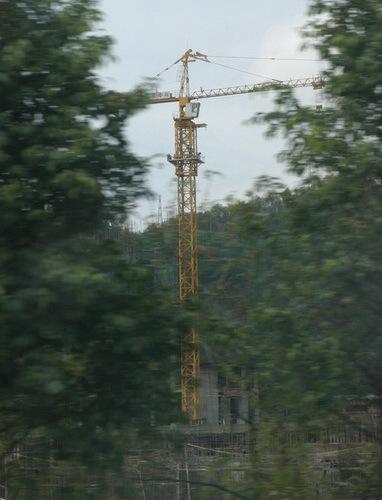 If there is a way to describe Shenzhen, it's cranes! Everywhere there is construction. I counted over 45 during a 10 minute stretch of driving around northern Shenzhen! There is a mind blowing amount of new, 30+ story buildings going up. To give you an idea of size, Shenzhen province has 8.9M people. The entire population of Colorado (the state SparkFun lives in) is 5M people and Colorado is huge compared to tiny Shenzhen. Colorado has 48 people per square mile. Shenzhen has 11,260 people per square mile. It's time to talk about food. 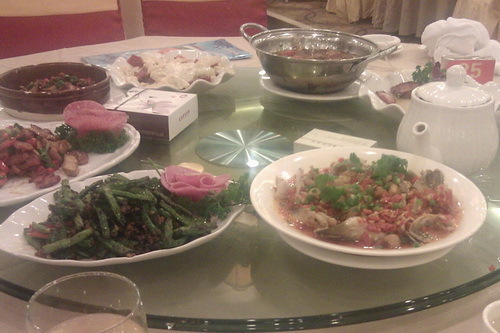 The food in China is superb. 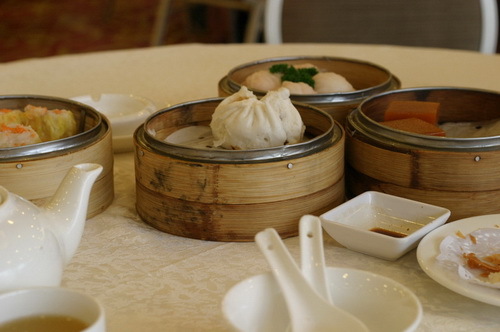 Here is dim sum one morning. A full Chinese dinner, complete with tea. If you think this is like Chinese food in the states, you are very wrong. Note how little rice is served with the meal. Rice is only brought out at the end of a meal and is considered extra - you should be filled up on the meal, not the rice. Noodles and dumplings for 8RMB ($1.25). This was one of the most amazing meals! 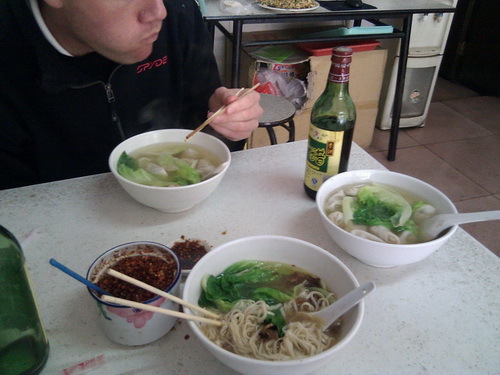 If you can't use chopsticks in China, you'll be very hungry. 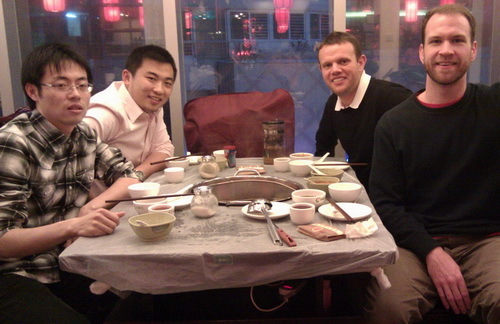 And finally the traditional hotpot with Steve and Eric from Seeed Studio and Louis and I. So happy! It was a fantastic trip! Be sure to checkout Part 2 and Part 3 as well! Chopsticks.... I went to school with a guy from Thailand who used multimeter probes like chopsticks, he held both probes in one hand. He could check all the junctions on a transistor in about 5 seconds! Do you guys think you'll ever check out GoldPhoenix? Or have you already? We all get a lot of boards from them, and it would be nice to make sure they were on the up and up. They have great prices but its not worth it if the labor is bad! TL, I think GoldPhoenix makes the boards for BatchPCB (a sub brand of SF). They do. When I said we all get a lot of boards, I mean we all in the hobby community. So it would be nice if Sparkfun checked them out. 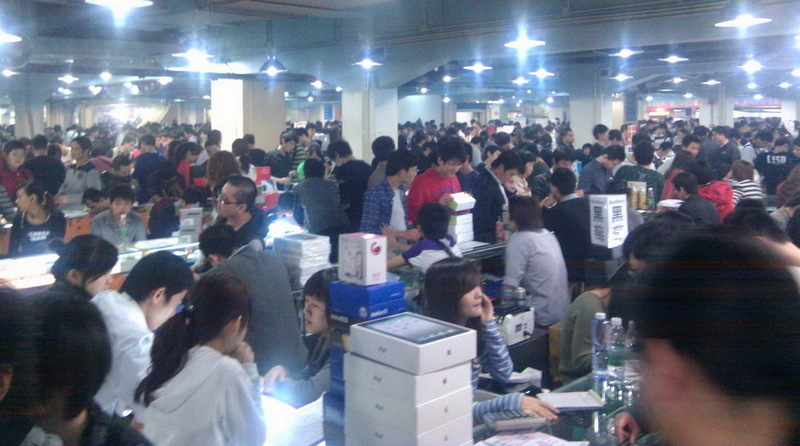 I was Shenzhen a week after you guys and was surprised by the bulk sale market(piles of ipads) no body had the time to even talk to someone who did not speak Chinese. Till now I was thinking it was not meant for foreigners. Thanks for the clarification. I saw a guy going through a pile of galaxy tabs putting in some codes to look for dead pixels or faults and stacking them up using rubber bands! Google translate sure came in handy while negotiating prices and asking for values or colors etc. One question though, now that you know things are cheap as chips in China, will you guys be cutting prices? Dang, I just got back from Shenzhen on Thursday (took me a few days to catch up on everything now that I'm back). Would have loved to have met you while there. Schenzhen is such a different city. Ended up with a few free days and spent it just exploring the electronics district around the SEG Tower. 3 days, and I bet I still missed half of it. Wish there was something like that in North America. I visited by myself in 2010 and it was amazing! Knowing only a couple of words of Mandarin I managed to buy some ATmega's for about a buck each, and some really nice side cutters and other tools for a few dollars. It was hectic, but the stall holders were very accommodating and patient. It would be a great place to setup camp when developing a new product. I wish I could have visited with you, for the most part I had no idea where I was or what I was doing while I was there! @Rooster: And you're telling me you didn't run right out and learn to use chopsticks because of that? You can dedicate a whole hand to holding the component or connector, while the other hand works both probes. The productivity gains, especially in awkward situations, are hard to overstate. You might want to reduce the safety-shields on the probes, though, because they can collide when being used this way. Hey - you guys going to the Canton fair? Hahaha, Yuck, yuck, yuck. I seeing all of you giving yourselves away to a communist nation of thieves . Warms me to the depths of my little heart. Canât beat âem so join âem right? Canât take a prototype into that place without coming back a year later to find it being sold everywhere un-licensed. 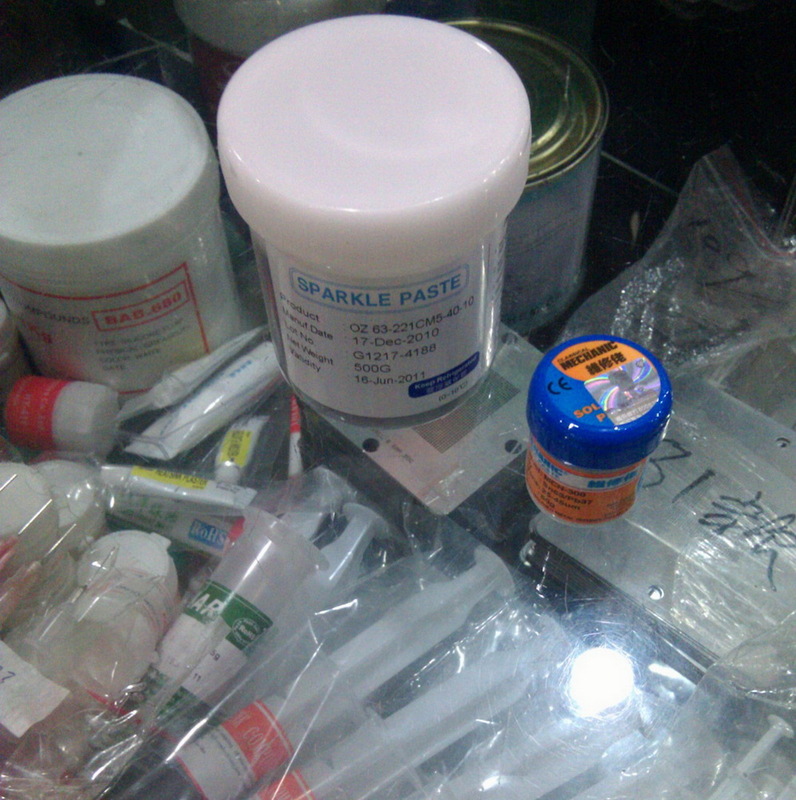 China is a great place to pick up all kinds of counterfeit parts of all flavors. You at spark fun have even been burned yourselves right? Take JPLâs class on counterfeit parts sometime and see what it means to national defense (AMERICAâs) when you have to worry about mal-ware coming preinstalled on your widget or your system actually working because you thought you had a real working ICâ¦ but Iâm sure all those delicious cheap parts are all opensource and arenât hurting anyone right? Being someone that actually works the REAL electronics industry (vs. hobby, so in that you are excused to some extent) I am appalled at the glee you people take in thinking bottom line over the injustice and harm that heap is causing the rest of the world, its own people and the environment. Youâve already convinced yourselves you canât get this stuff anywhere else, not for the money anyway. Re-label it made in America and it rights all wrongs. Even when you sell it at a huge mark-up over any of the rest of the distributors. Amazing. Search - âThe electronic wastelandâ and watch the 6 minute video if you donât see this as a problem. Dim sum! I LOVE that stuff!! If you guys ever sold that, I would personally clear your stock down to zero - then put several batches on backorder. The electronics market in Shenzhen is the one 'mall' in the world where I don't want to leave. I've got admit that I'm jealous. 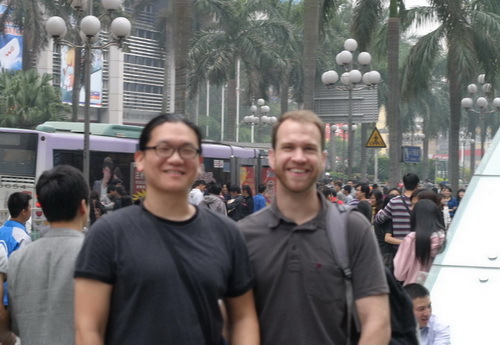 A friend is moving to Shenzhen today and I'm hoping to make it back to China in time to visit while he's there. Looks like you had an awesome trip! When I was there, I had a little chat (I needed a translator) with some of the sellers at the SEG plaza. They said even though Hong Kong is just across, they never had the chance or money to go. Most of the workers there are not from Shenzhen but are mostly from elsewhere of the country. will sparkfun ever sell the robust deer knives? Oh Nate, you actually ate the chicken feet?! You are a brave man. "It's really not that much different from how we do things in Boulder..."
The pictures you took of the market remind me of the Dayton Hamvention. 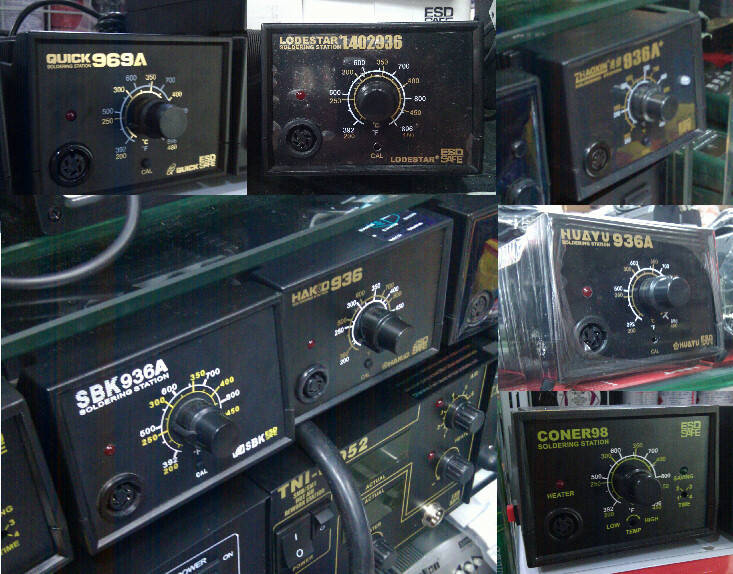 Hey, I love Hamvention. It's great if you can't afford to jump on a plane and fly to China on a whim but these pictures look way to clean and the parts way to organized to be Dayton Hamvention. Store all that stuff in an old dirty barn for 10 years. Then mix it all up, throw it into old boxes and lay it out for people to rummage through. Now it looks like Hamvention. So do these vendors provide the datasheets for what they carry or is it what you see is what you get? This strengthens my suspicions that China is leaping over the US. I dont know if you realize this but this was what Silicon Valley used to look like (or the east side of Seattle WA[Redmond]). I remember being able to go into any major chip supplier and walking out with tons of data books or getting free samples. They did not care if you were an EE student or an engineer. Now you cant even get an answer unless you have bought 1 Million units of their parts (and most likely it came from China). That was my impression too. Here we've had so much trouble finding components now, because hardly anyone builds stuff in the US anymore. My last job was for a battery and charger company and we were quoted rediculous (18+ weeks) lead time for stuff like TCOs and PTCs - basic protection elements inside every Li-Ion pack. And prototyping quantities were virtually impossible to come by. Hop on a plane, and for prototyping qtys, if you have good relationship with the vendors, they don't even charge you. "Just take me out to Dimsum next time", is what some of the guys would say. Go to their "Book cities" and you can find domestically published engineering texts for about the cost of a dinner and movie for two. Throw in a culture that's been taught historically that an education is the way to get ahead in life, and the fact that out of 1+ billion people, there's bound to be some smart dudes... and you can see why China is on the uprising. Sadly while they are gaining, we have reality TV and a laughable science and math education to show for. That's why they are overtaking the US. So after seeing your post about geek tour 2009 i packed my bags and went to shenzhen to try and see the same sights you did, and wow saying that this is just a fraction of what is there is a huge understatement. 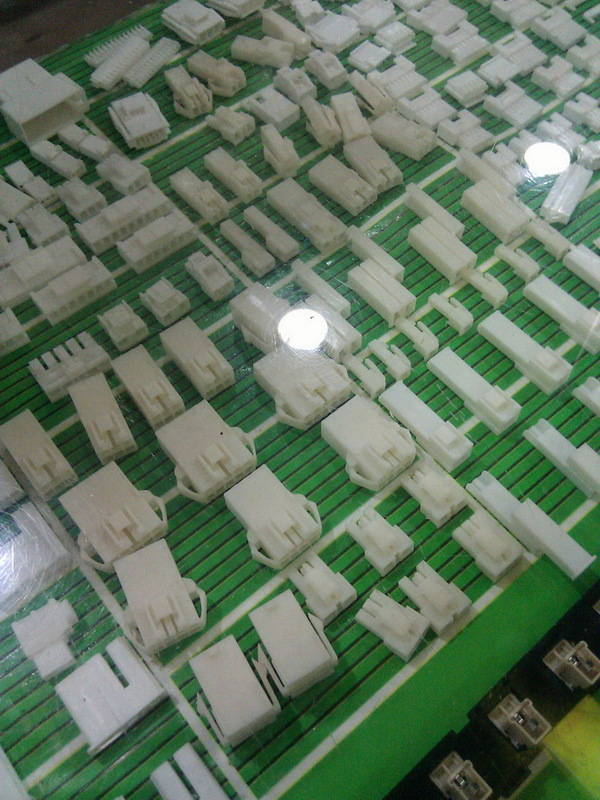 I visited several factories and had a great time. I recommend all EE's and hackers alike make a pilgrimage to SEG. When you arrive in shenzhen just keep on repeating SEG, S-E-G, until you find your self in heaven. Ni hao (Hello) Nate- I was wondering NATE if you tired the Chicken feet? I love how my fellow Americans turn green when you offer them some nice BBQ Chicken feet. Did you visit any of the food markets? I know not an EE question, but if youï¿½re eating Dim Sum, I have to ask. Itï¿½s really hard to get good lotus flower humbows, and egg tarts- but thank god I live in Seattle where if you know where to go you can fine the real stuff. My extended Father works for Boeing and travels a lot over there- he likes to get away from the tourist spots and try real Chinese food. Heï¿½s turn down monkey brain- was not ready for that one. I have to turn down tripe and fish eyes. Shay shay. I did! I had all sorts of yummy food including chicken feet. Wait... Chumby? What is a Chumby? I'm pretty sure if I asked people if they wanted to see my Chumby, I would get arrested. I'll just click the link. Oh! That looks pretty cool! I can think of stuff to do with that right now. TAKE ME TO NIRVANA- the Electronics market in Shenzhen! Amazing ! That inspires a of others to pack their bags to china ! When is India on your list ? OMG! The Pic of Transformers- I could not believe all the Torrid Transformers. I think I almost died and went to heaven. I am a true believer in Torrid Transformers- Yes they cost more, but they are worth it when you have heat issues in a confine space and the ones I have used are quite when it comes to EMI. I know it's a little much to ask, but I wish that SparkFun could have the 12V models in stock. 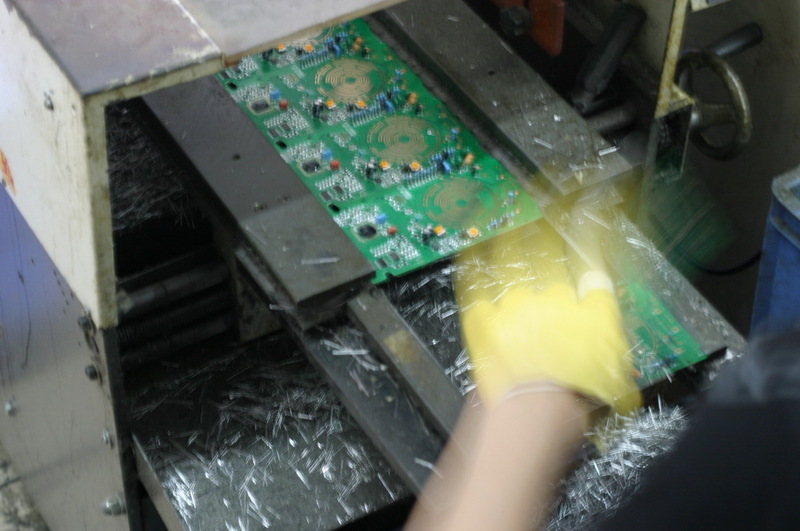 One difference I see between this China factory and what's left of our Phoenix based facility is the lack of safety glasses where people are soldering or clipping leads. Did they use glasses anywhere? I also found it freaky watching guys casually sticking their fingers into live injection molding machines or climbing on top of a huge press while it's running full speed. Also seems they are missing beer in company pint glasses, that should be fixed. 1) That market looks incredible. I can never go, because I would never leave. Hi Dave/Solarbotics! Couldn't swing it this trip but I've got to make the HK show someday. Have you gone before? Yup, 5 years ago. It's less intimidating than Seg Market, but not by much! Going back for it this weekend, and going to try to squeeze in another day trip to Seg. Was SeeedStudios far from there? "Testing pink LEDs! We've found them! Now we're trying to secure a good source. Pink LEDs were just one of many 'cool' products not normally seen." Found them? They're not that rare, are they? If they are.. I'll sell the 83 (3mm, faux-strawhat i.e. flat) I've got for.. pinkie to mouth $50 each! Mine are a bluish emitter below some phosphorous layer that is particularly orange-red, the combination of which is a nice pink. From the picture, looks like the ones you found are of the same type? I do think actual pink (and similarly, purple) LEDs are pretty rare. Couldn't even spot any at the ledmuseum guy's pages. I think you could use the word cranes to describe the entire Pearl River delta if not larger portions of China. In my morning commute in the Zhuhai area (across the Pearl River from Shenzhen) I could probably count 100 cranes. 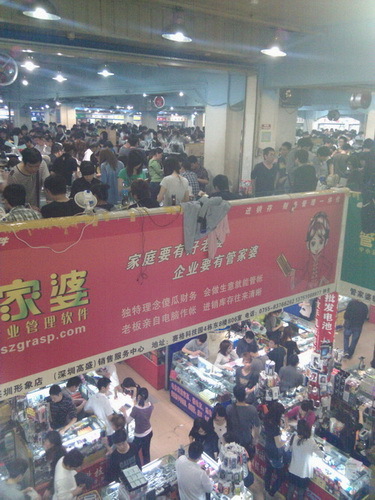 Yes, the electronics market in Shenzhen is geek heaven. Simply amazing. My advice to anyone thinking of visiting is to make a shopping list ahead of time. The place is fantastic for making contacts with not just retailers but suppliers and manufacturers, who are of course interested in selling in larger quantities at great prices. Thanks Nate for the report. Nate, great report. Loved reading it. Question: how did that LED test chamber work? What did it actually do? Hey Landon! 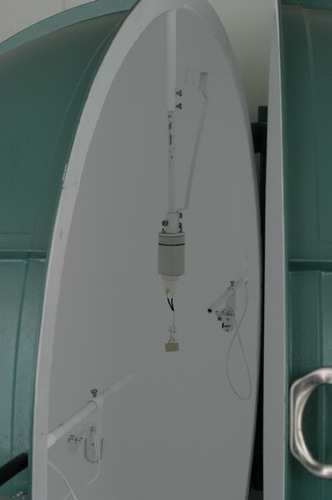 It was a luminosity chamber - tested the angle and overall output of a given source. Looks like an integrating sphere. Holy cow. Look at all those parts. Parts as far as the eye can see. I have to order my parts from some outfit in Colorado. I would probably go into some kind of dopamine induced coma if I ever got exposed to that many parts at one time. If I learn Mandarin, will you take me next time?? I've heard that parts of China have a worse smog problem than LA ever did. Hope the air was clear where you were. I've tried eating with chopsticks when we get take out, and for the most part I can manage it. One good thing about it is that if forces me to eat a little slower, better for the digestion! Meet the Creative Technology Team! Retrosparktive #4 - Time for some new digs.